The most stress-free and easiest way to defend your guns and the gun safe that you have recently purchased is to not even let anybody know where it is. If nobody even knows where to look – doesn’t matter if it is a family member or a burglar, then how they ever be able to access your safe? It comes down to keeping your ego in check and being happy with the fact that you are 100% protected against your guns being stolen in the event of a home invasion. It is not difficult to follow this theory and to understand it. 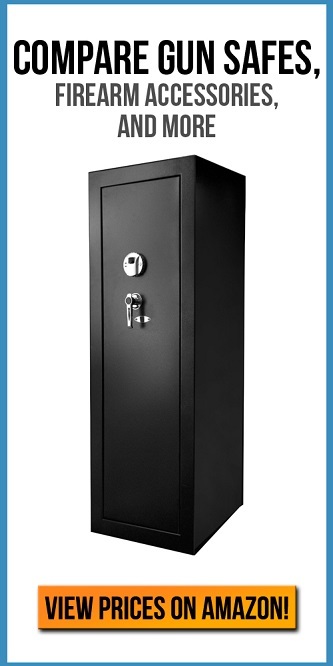 It does not require any kind of investment or additional energy put into the guns or your gun safe. The only thing it requires is for you to literally not tell anyone that you own guns and a gun safe. Believe it or not, it is even a good idea to not even tell your children that there is a gun safe. You can tell that there are guns in the house and that they are not to be played with, but children have a tendency to accidentally let things slip. If they don’t know a gun safe is in the house, then they can’t tell anybody where it is. Simple. The spots we recommend are places that most people waill not think to look. But on the flip, it is important to remember that some burglars are actually extremely smart and will know of the most common spots that people put their gun safes. This means that the common hiding spot like a dark basement or in the back of the closet might not be good enough to deter the best of the professional burglars that roam our streets. Understanding what kind of neighborhood you live in and whether or not it is one without crime or a neighborhood loaded with crime is crucial to protecting their guns. Now, you may be wondering why the hidden gun safe theory works for great for vacations, and it is simple. What we mean by this is that if you go on vacation, and people in the neighborhood realize that you are on vacation, they may feel inclined to rob you. A lot of burglars nowadays will go on social media like Facebook and Twitter to check on whether or not somebody is in town. If they find that a person is away they will feel the house is a good target. So, if you don’t tell anybody where the gun safe is, and nobody even knows really that your gun owner, then you don’t have to worry about leaving your gun safes behind when you go on vacation. It will allow you to enjoy your vacation and not worry about somebody taking advantage of you. Last but not least, the saying “loose lips sink ships” comes into play with this theory. Nobody ever gained an advantage by giving away their biggest secrets. And your guns are probably one of the most valuable items in your house. It’s very easy to spend thousands on both the firearms and the ammunition itself. Not only that, but all the accessories that you buy for your guns are also just as valuable to any burglar. By applying that saying to this theory, you can be sure that you will never have to worry about a burglar knowing where your gun safe is.